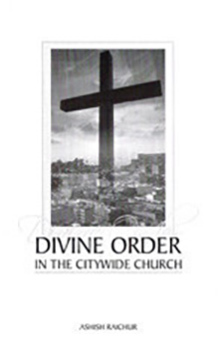 This book exposes the lack of divine order among ministers, churches and believers in citywide churches. You will be challenged to rethink the way you conduct yourself as a minister of God or as a believer of Jesus Christ. This book is candid, open and straight from the heart! If you have the courage to face the truth and are willing to change—then read on! If God’s people learn to walk in divine order, there will be less strife, division and competition among churches, ministers, ministries and believers. This book is produced with much concern and a sincere desire to see divine order established among ministers, churches and believers in our cities, communities and local geographical regions. Issues discussed are from the perspective of the citywide Church but which hold true for a community, town or any region, where churches, ministers, ministries and believers coexist and are co-laboring. The guidelines presented in this book come from one single basis—to have all things done decently and in order. Our desire is to see the citywide Church and the church in any community, be the kind of church that Jesus wants it to be, so that Jesus will be glorified in all things!